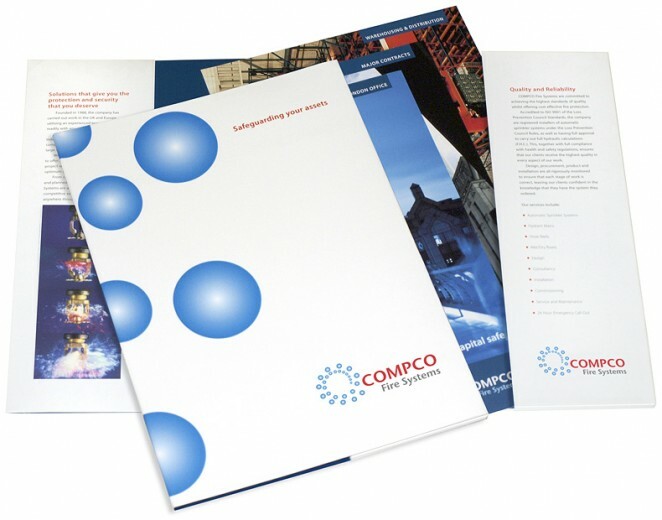 ﻿A series of leaflets and a folder for COMPCO Fire Systems. As the UK’s largest privately owned fire-engineering company, COMPCO sets the standard in protecting businesses throughout the country from fire. For part of their marketing collateral, we have produced a series of leaflets and profiles covering products, services and locations, along with the multi-use corporate COMPCO folder. There are 17 leaflets and profiles which are regularly updated, which can be viewed by clicking the link below.